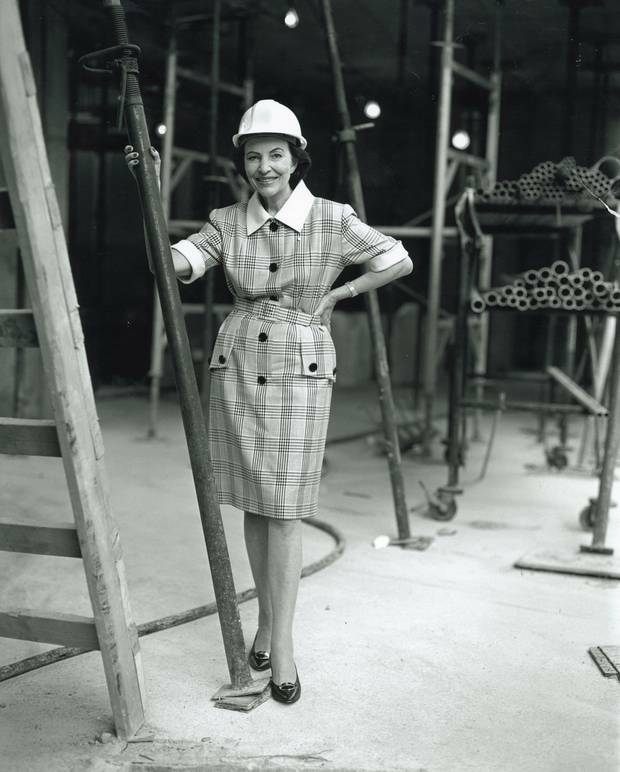 Sonja Bata posed at the Bata Shoe Museum in Toronto as it was being built. Established in 1995, the institution brought many of her passions together under one roof. 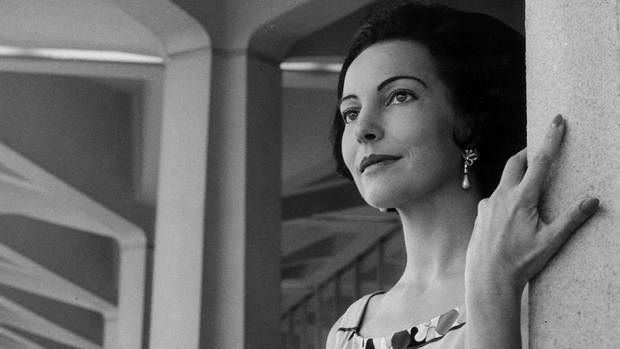 Sonja Bata has spent nearly a lifetime amassing the collection of shoes that became the foundation for a museum in Toronto, though the almost 90-year-old doesn't see herself as any sort of style icon. In a preview for a documentary being made about her life and work, Shoes, screened at the most recent instalment of the Bata Shoe Museum Founder's Lecture, Bata says that as a young woman she never wanted to be a beauty queen, and although she admired beautiful people, the life of a stylish socialite wasn't for her. "I wasn't a really good glamour girl," she said with a smile, adding "there were other things which were more important." Bata has indeed accomplished important things – the museum that bears her family name is just one of many contributions she has made to Canada. Since the early 1950s, she has championed cultural, environmental and social causes, serving on several boards here and abroad. Bata served as chair of the National Design Council and is chair emeritus of World Wildlife Fund Canada; she was also a founding member of the Toronto French School and a governor of York University; she was the longest serving honorary captain in the Canadian Navy and for almost 20 years sat on the North York General Hospital Board. Bata's contributions have lead to countless honours: She became an Officer of the Order of Canada in 1983, is a companion of the Canadian Business Hall of Fame, and in 1982 was the recipient of the United Nations Environmental Program's Silver Medal. Architecture has always held a special place in her heart, too: She helped further public awareness and appreciation of design alongside her late husband, Thomas, as they commissioned a series of architecturally significant structures around the world. Factories for the Bata Shoe Company were erected, shops were opened and planned communities popped up in several countries. The factory towns in the Netherlands, India, Slovakia and Batawa, Ont., became models of social change and sustainable development. My own first Bata memory came in footwear form, a pair of back-to-school shoes that I received as a kid. Later, as I began collecting vintage fashion made by designers such as Hubert de Givenchy and Yves Saint Laurent, Bata's passion for collecting, preserving and presenting the artifacts of style inspired my own archive. While society increasingly values the new, now and next, Bata has always been a proponent of history and craft. In anticipation of her milestone birthday on Nov. 15, it seems timely to reflect on the life of this reluctant style icon. Through quotes from Bata gathered during events around the Bata Shoe Museum's 20th anniversary in 2015, and memories shared by her family and friends this summer, a picture emerges of a woman who continues to value exploration, creativity, patronage and taking time to appreciate beauty in all its forms. Pictured in their engagement photo, Sonja Wettstein would marry Thomas Bata in October 1946. While pursuing her love of architecture as a student at the Swiss Federal Institute of Technology in Zurich, Bata fell in love with and married Czech shoemaker Thomas Bata, who at the time ran one of the largest footwear concerns in the world, selling more than 60 million pairs of shoes per year in some 30 countries. Bata Shoe Company had been through a tumultuous time politically – the company founded in 1894 by Thomas Bata's father (also named Tomas) had been nationalized under Communist rule. Thomas Bata Jr. was looking for a fresh start and found the perfect partner to do it with. "It didn't take me long to be enthusiastic," said Bata about her husband's business at the Founder's Lecture. By no means was the extent of her new role as wife to simply fashion a home and rear children. Bata epitomized the changing role of women in society at the time. She set her sights on product development, store layouts and factory design, injecting her refined taste into everything she did. Bata set out to educate herself further by studying the design of footwear on the feet of people in remote areas, while collecting and documenting what she saw on her travels, paying special attention to craft and the traditions of shoemaking. "It's a piece of material culture," she said in her remarks before the Founder's Lecture. "But it tells you more about the individual than anything else does." Her travels informed her sense of personal style, too, which resulted in her radiating a sort of elegant, modest glamour that's seldom seen today. In a portrait taken in 1966 by Roloff Benny on the terrace of the John B. Parkin-designed Bata headquarters in Toronto, Bata is resplendent in Emilio Pucci. Her cheekbones seem to jump right out of the black-and-white photograph while her well-manicured hand wraps around one the imposing modernist columns. Sonja Bata in 1966 at the Bata headquarters in Toronto. In another image, a favourite of daughter Monica Pignal, who shared the snapshot with The Globe and Mail, Bata is seen on the streets of India during one of her adventures abroad. It's 1955 and she's smiling from ear to ear crossing a busy street with a camera in hand wearing, with great ease, a dress by Givenchy, the designer of the moment. Bata in India wearing Givenchy. Though on the surface the snapshots present a figure of a great beauty with great style, there's substance to the woman in the photos. The clothes were Bata's uniform, perfectly made garments that allowed her to focus on the task at hand, never fussing over changing fashions, but rather focusing on what, to her, really mattered. "No matter what my grandmother is wearing she exudes a sense of grace, elegance, beauty and strength," says Bata's granddaughter Alexandra Weston. "I don't think it is so much about the clothes she wears, but how she wears them – she carries herself with confidence and elegance and that is what shines through in her style." 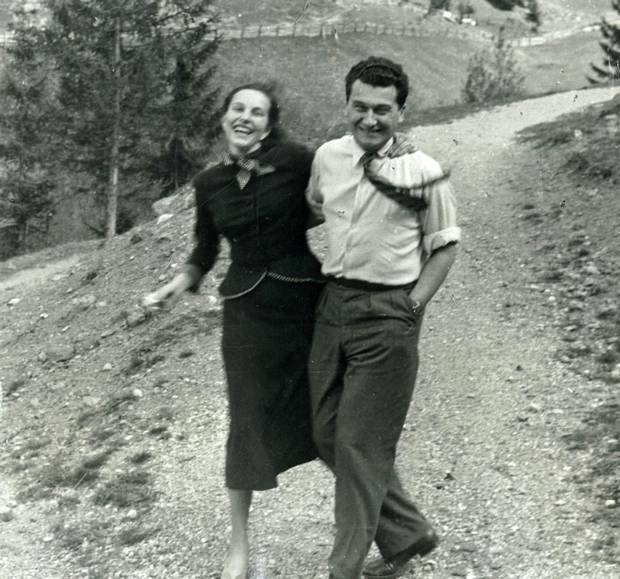 As the couple traveled the world building a shoe empire – between 1946 and 1960, 25 new factories were built and 1,700 Bata stores opened – she amassed an enviable footwear collection. It would become the world's largest and most comprehensive shoe archive with some 13,000 artifacts that span 4,500 years. "Each one of these shoes has a special meaning for me; they are all my friends and I can relate to them because they have such an interesting story to tell," Bata says in Shoes. "It was really a working collection to inspire product development and to understand customer needs," says Christine Bata Schmidt, Bata's daughter, who resides in Toronto and sits on the museum's board. She adds that her mother built the collection "with no thought at all of creating a museum." But as both her collection and her knowledge of footwear expanded, Bata started thinking about research, preservation and sharing her finds with others. The idea of a museum was born. "My mother never does anything half way," says Bata Schmidt. Sonja Bata in 2006 poses for a portrait in the Bata Shoe Museum in Toronto. Built on the site of a former gas station on Toronto's Bloor Street West, the home for Bata's collection is not unlike the woman herself. Designed by architect Raymond Moriyama, the Bata Shoe Museum is grand but approachable. "I didn't want a huge museum; I wanted it to be a jewel of a museum," says Bata in the documentary. "We want to be the best in the world." Bata Schmidt says that her father, who died in 2008 at age 93, was "immensely impressed and proud of the museum and would continue to be so." 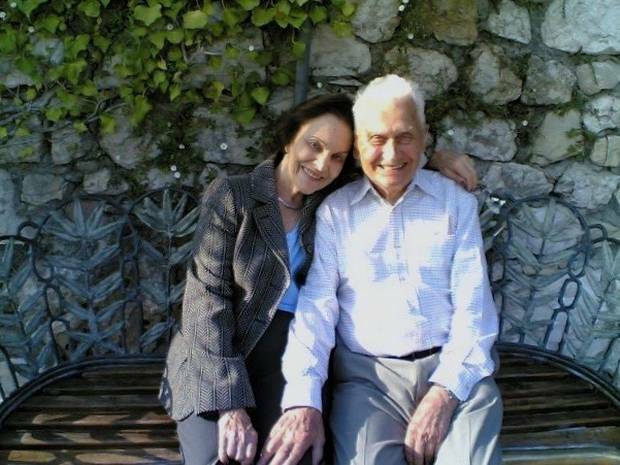 Pignal, who chairs the The Thomas Bata Foundation and splits her time between London and Lourmarin, France, adds, "My mother was the pride of my father in all her achievements, including the museum." Sonja and Thomas at his 90th birthday in Èze, France. Bata now resides steps from the museum in a modern penthouse apartment. I was fortunate to visit her space with our mutual friend Mary Symons. (A Bata Shoe Museum board member, Symons was encouraged by Bata to get involved with the institution after the death of Symons' husband. She calls Bata "one of the most important influences in my life.") In the flat, modern furniture by Charles and Ray Eames, Gio Ponti and Eero Saarinen are beautifully arranged, and works by Marc Chagall and Jean-Paul Riopelle fill the walls. "Whether it is my mother's clothes or her furnishings, she will choose things that are ageless, beautifully proportioned and beautifully made," says Pignal. Bata's next of kin are spread around the world – her sense of travel and adventure, it seems, has passed on to subsequent generations. Her son Tom, who worked in the family business, is now retired and spends time in Switzerland and the south of France, while her daughter Rosemarie lives between Toronto and Orvieto, Italy. Grandson Charles Pignal lives in Singapore and is in the family business managing the company's heritage as group heritage director at Bata Group, while his brother Stanley lives in Mumbai and works as an editor at The Economist. Christine's daughter Alexandra Weston works as director of brand and creative strategy at Holt Renfrew, a few blocks east of the museum (her marriage to Galen Weston Jr. marked a union of two influential Canadian families). Weston oversees H Project, a selection of fashion and home items that support culture, craft and artisans around the world. "My grandmother once said if you want to support a project and make a difference, don't just donate money, get involved," she says. While she's no longer as active on Toronto's social scene as she used to be, Bata still visits her beloved museum once or twice a week depending on how she's feeling. There, she works with curators, the museum's board and a team of researchers whose work she underwrites in an effort to continue to preserve craft and culture. Bata's sense of style, purpose and determination is steadfast, her smile still broadens when she speaks about shoes. She continues to have the sort of fervent curiosity one can only hope to possess going into their 10th decade.